Small but powerful! High-performance, neutralising odours – our fans are particularly good for use as exhaust system in bathrooms or the kitchen where they are easy to install in pipes and ducts, or even in windows in combination with special mounting kits. What would you do in the following situation without the support of a ventilation system: You are taking a nice hot bath, browsing through the latest product innovations on Creoven.eu with your tablet and dream of Victorian style furnishings. An hour filled with candlelight and bubbles goes by quickly, but as soon as you get out of the tub – still fantasising about antique finished oak veneer – reality catches up with almost immediately: Windows and mirrors got steamed up, water condensation has already developed in seams and and on shelves. How annoying it is having to mop the bathroom after reaching this state of relaxation! Leaving the door open is also not a sufficient method for transporting warm humid air – furthermore it would spread to other rooms and do a lot of damage there. However seeing as you are well versed in the art of interior decoration you are aware of your next investment: an efficient fan for the bathroom! Not only does it come with the benefits of keeping the room free from humid damp and even mould, it also brings great convenience to your guests. Everything you need to know about installation and care of your bathroom fan is compiled on this page. But then the ventilation system starts up when leaving the WC or bathroom. What a relief! The powerful fan extracts smells so that they have no chance at all to spread inside the home. What an awkward situation to be invited to one of those fancy elegant events - and after using the toilet there is no possibility to get rid of unpleasant smells. The trick with lighting a match only works to a limited degree, if it works at all. However strong scents in the smallest room and bath do not only emerge after one visit. In many everyday situations the bathroom is a place where our nose gets a really good workout: wrinkling, releasing, sniffing, a couple more seconds of wrinkling and so on. There are more than enough possible training sessions: Your husband has rediscovered his love for aggressively-masculine shower gels or the teenage daughter has painted her nails in the latest trend colour. The generous use of strong perfume is also known to be a more or less successful way of trying to hide smoking in the bathroom. Old towels, the laundry basket and sometimes the washing machine can hold rather mouldy odours if they have been forgotten about for some time – it happens to the best of us! Even cleaning the floor with an environmentally-friendly vinegar cleaner can make you dizzy. The second possible danger in damp rooms is the frequent appearance of water vapour. Lacking respect, water’s gaseous phase infiltrates textiles, pictures, wallpapers and posters that start to crimp and ripple. Loosely packaged cosmetics are also damaged when they soften and moistened, makeup sponges and brushes turn into an ideal breeding ground for germs and bacteria in warm and humid climates. This is highly unsanitary and instead of achieving the desired flawless effect they lead to bad skin. If water vapour hits cold surfaces it starts to condense in small drops, condensation water, that accumulates in mortar joints, causing deposits and stains. Tiles should be wiped with a dry cloth regularly, smaller spaces can be cleaned with toothbrushes, for example. High humidity levels ruin beautiful wallpapers with permanent water spots, the irregular spots create a rather dirty appearance on mirrors and shelves. Houseplants also suffer if their soil becomes too wet, mould is quick to emerge on the surface. Now we have reached the main hazard high humidity (starting from 60%) poses, without a sufficient air exchange first spores begin to appear. They are classified as dangerous allergens and can result in serious respiratory diseases in humans and pets. Particularly warm humid air that is common in bathrooms promotes mould formation at a tearing pace. Regularly check for occurence of mildew spots on walls, joints and possibly backside of bathroom furnishings, they are the first visible sign of an infestation. Those furry films are rather unpleasant to look at on wallpapers and colours, as they occur in black/green/grey shades. The uninvited guest does not only attack respiratory tracts and the sense for aesthetics, but also starts to infiltrate building material over the course of time through acidification. The first fuzzy fluff can be removed with a cleaning agent from the drugstore. But keep in mind that this does not remove the cause for the mould growth: high humidity! Used towels that are hung over the shower for drying keep the humidity inside the room. Try to use a clothes line in the garden or use an electric dryer. 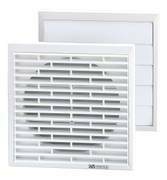 Always ventilate sufficiently after taking a shower or warm bath. When it comes to ventilation in new buildings, the common methods of ventilating by opening windows and doors is rather unattractive in regards to energy and economics, too much thermal energy from the heated air escapes to the outside. Furthermore, walls can cool down when windows are opened for longer periods, resulting in increased heating costs in winter. If you do not want to go without window ventilation in old buildings, we recommend installing a fan near source of steam (shower / bathtub) so that water vapour is extracted as soon as possible. In order to provide some relief in damp locations without windows such as bathrooms and guest WCs we offer modern fans that are solely used as exhaust system. 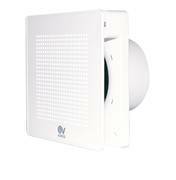 They are characterised by low acquisition costs and easy installation, depending on the equipment they can also be soundproof so that adjoining rooms and apartments are not disturbed by the operating noise. To balance pressure in the room it is vital to ensure a corresponding amount of supply air. Depending on the size of the damp room the installation of an additional supply system or openings in the wall is not necessarily required. In smaller bathrooms the supply air via leaks in the construction (old buildings) can be enough. Another method is to use additional air from adjoining rooms or the corridor that is let in by an overflow valve, for example. The installation of supply valves in existing pipes and ducts is an easy and low-priced possibility to ensure controlled, continuous ventilation, while incoming winds are filtered for allergens, dust and contaminants. Even germs and bacteria are prevented from getting into the home by efficient filters – That is not only good for people with allergies, but also beneficial in places frequented by people with weak immune systems like WCs in medical practices and hospitals. By using one of our low-prices fans for small rooms, particularly bathrooms, you enjoy all kinds of benefits. The installation is simple and feasible for all types of buildings. 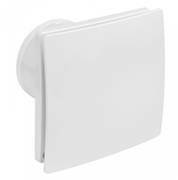 The small bathroom fans are quickly mounted to existing ducts, vents and pipes without much effort. 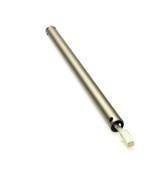 Our popular Punto model merely requires the application of one screw to ensure sturdy support. In most cases the device is connected in a matter of minutes and immediately ready for action. Most fans for small rooms are mounted in a horizontal, vertical or diagonal postion, the Vort Kappa can even function as exhaust hood on the ceiling (very convenient in kitchens). 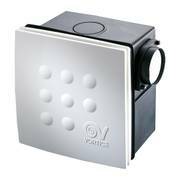 For installation in the corner of a room into a duct the Quadro Micro offers an additional support. With so many flexible types of installation it is possible to add one of these systems into bathrooms at any time. Or you could just integrate our all-time favourite Punto directly into the window with a special window kit. That way neither furniture nor other household devices are affected. Even if there are no windows or useful ducts in the room, the latter can be installed by a professional without much effort. Now there are many different types of controls for your ventilator depending on the equipment of the fan and its brand. Forgetting daily ventilation and the resulting mould growth are become virtually impossible. The programmable humidity control comes with sensors that measure relative humidity, or in other words the water vapour contents in the room. Starting from the selectable maximum limit of 60 % for example the device automatically starts to ventilate and turns off once the condition of the air has reached more acceptable levels. 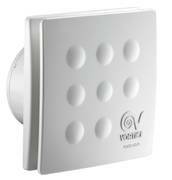 The automatic ventilation that starts up every time the bathroom is used also has shown incredible results. For this method devices connected with a motion sensor are particularly suitable and react as soon as there is a motion in the room. It also makes sense to wire the device to a light switch so that it can be turned on and off without any problems. Of course it is possible to manually control fans with a pull cord or switch on the housing. Another great benefit is the optional after-run timer that can be connected to the ceiling light or flush, for example. It determines for how long the fan should operate after the bathroom light has been turned off. The after-run period (ventilation period) can be adjusted on a timer to run as long as 20 minutes. 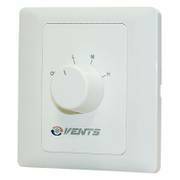 At night or when leaving the house for a longer period you can select regular ventilation intervals with a convenient timer. 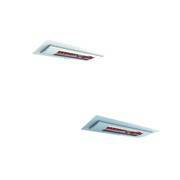 Fans for small rooms, for example application in kitchens are easily installed in a similar fashion and comply with all safety guidelines for fume hoods. That means they are heat resistant and, if roasting and frying leads to a small mishap, self-extinguishing. The smell of food might be beneficial for the appetite, however they are rather unpopular when emitted by furniture: Fans immediately extract the odours so that they do not have a chance to spread throughout the entire home. Their coatings are easy to clean, stains from grease and sauces can be removed instantly, the interior electrics of the device are protected from water, water vapour and other splashes by IP codes, because it is natural to handle a lot of liquids in kitchens (and bathrooms). The integrated filters are also easy to clean, for example by washing them out with water. Considering a couple of instructions you are guaranteed to enjoy your ventilation system for a long time: Fans for small rooms and openings for supply air must be exposed due to safety reasons, the must not be covered by objects that interfere with the air flow. For example, do not place potted plants in front of window fans to screen them from view. Usually, sensors that automatically determine the required amount of air must not be turned off except for maintenance. More details are available in the instruction manual. The common colours white or light grey are very discreet, making them very useful as they match any bathroom or kitchen interior. On the outside a grid prevents objects from getting in, such as insects, leaves and other small parts in the wind, such as pebbles. The practical seal also transports condensation water away in a safe distance to the exterior wall of the house. Easy-care housings made of special synthetic material are protected from yellowing, a wet sponge can get rid of dust, water spots and other débris. On the inside of the element regulating supply air a dust filter absorbs even smaller contamination. Regular maintenance and the replacing or cleaning of the filters according to the manufacturer’s recommended intervals guarantees a constant supply of good breating air.